In this episode we talk to Andy Domeier of SPS Commerce. As startups grow into larger companies, they face the same scaling challenges that larger enterprises tend to encounter. Andy gives us his 11 years of experience of watching SPS Commerce grow from a startup to an enterprise, and how they’ve handled these challenges. We also focus on some of the technology SPS using to help scale the people, and scale their technology capabilities. 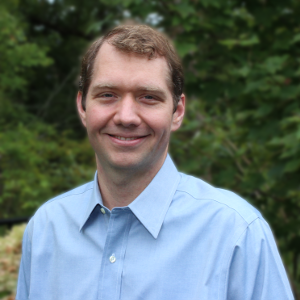 Andy has been in Technology Operations leadership with SPS Commerce for the past 11 years. SPS grows very aggressively creating an environment of persistent growth challenges. Andy’s focuses within the organization include: monitoring and operating complex changing systems, priority organization and alignment, and the organization of Knowledge. How does IBM manage to run web sites for some the World’s largest sporting and television events? With the practices of DevOps of course! In this episode, Ross and Michael talk to Brian O’Connell of IBM. Brian tells us of his journey to DevOps practices through stumbling onto the ideas of Chef and Infrastructure as Code. We talk about the cultural shift required when it comes to who owns delivery of changes and ownership of those changes. Brian also tells us how they leverage the “build, measure, learn” product development loop. The sites Brian and team help run are some of the more high profile, and highly visited sites in the world. Brian talks about the challenges when trying to introduce DevOps to such high profile sites, and mistakes that were made along the way. We also talk about some of the tooling Brian and team use, and how they effectively deploy enterprise software packages. Brian O’Connell is a Senior Technical Staff Member at IBM that leads a team focused on DevOps, predictive analytics, big data, and cloud technologies. Brian joined IBM in 2001, starting as a software engineer. He built many software systems to support the continuous availability and events infrastructure. His expertise includes architecting and developing scalable server applications, concurrency, advanced visualizations, and big data. From 2007 until 2011 Brian was the lead infrastructure technology advocate and designer for the World Wide Sponsorship Marketing (WWSM) client. His role included strategic technical direction, evaluating technology pilots and the end to end delivery of highly visible web events. In that role, he successfully delivered all IBM sponsorship web sites including The Masters, Wimbledon, Roland Garros (French Open), US Open Tennis, US Open Golf, Australian Open, and The Tony Awards. Brian designed systems to manage the infrastructure and applications used by the client including a focus on defining plans, strategies and architectures for the installation, operation, migration and management of complex information systems. Brian has had more than 250 patents issued, is an IBM designated Master Inventor and a Franz Edelman laureate.